Written by Sebastian Stuart-Banks on August 2, 2017 . Posted in Designers Guild, Homeposts, New Collections. Sublime printed florals, damasks and feather motifs; welcome to Designers Guild’s new Tulipa Stellata AW17 collection. 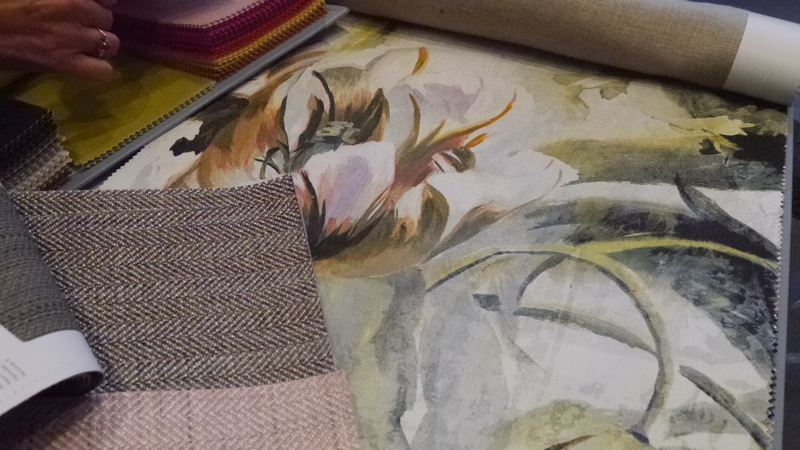 Trisha Guild has produced a collection Inspired by the 17th century Dutch craze and love affair for the Tulip. One of the first example of an economic bubble, Tulips became so popular that their value rose to heights beyond the value of homes themselves. The vibrancy in colour, and the elegance in style are hallmarks of a flower that caused so much hype in the mid 1600. Trisha Guild sought to create her own modern take on this Dutch delicacy, and combining digital and rotary printed design methods, the result is an extraordinary collection of floral and damask patterns, vivid in colour and tactile in texture. A painting by Jan Breughel of Tulips in the 16th century. The Interior Studio takes a dive into the latest collection and picks out three of our favourite designs within the collection. 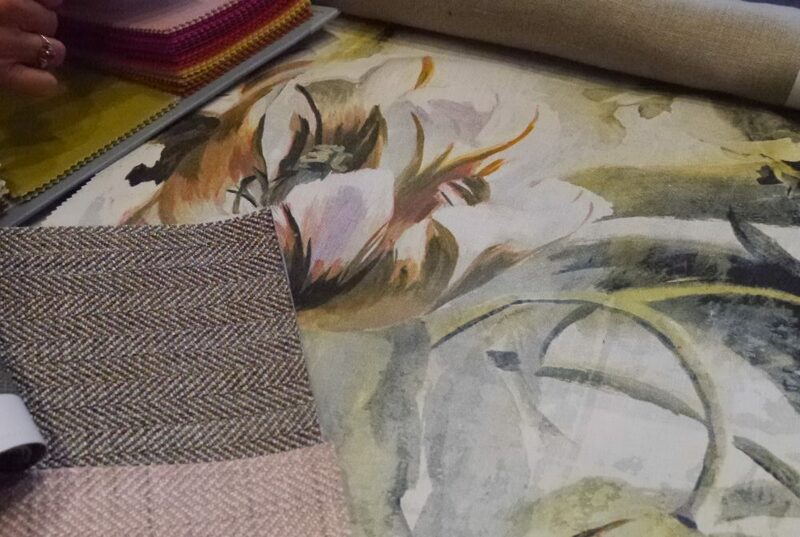 The headline piece within the collection is Tulipa Stellata Fuchsia, a bursting floral scene delicately described in soft tones on a linen weave. The distressed nature of the design makes the fabric a relaxed choice for use within bedrooms, as curtains or blinds, but equally, picking out the central motif for a cushion on a tweed sofa for a more contemporary look, or, used in the french style, Tulipa Stellata Fuchsia would look gorgeous upholstered on a pair of Berger chairs. Suzanne’s personal favourite colourway is ‘Birch’. Look at the way the tweed complements the texture of this beautiful fabric. Our second favourite design from the collection is ‘Fritillaria Malachite’, a very detailed depiction of a wild floral scene with autumnal botanicals. This particular colourway is an intimate alternative that would feature perfectly within garden rooms, kitchens, or as cushions within drawing rooms. This is a very niche style in general, and therefore, how you use this design is important to get right. An Interior designer would look to make sure the colours worked harmoniously within the room and the style was appropriate with the furniture design as well as the wall-coverings. 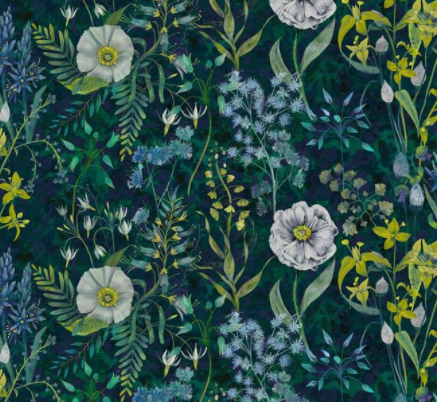 Suzanne describes this fabric as, exciting – the sharp citrus hues that pop out of the teal background, as though flowers are emerging from the mysterious depths of a pond, create a contrast that is so evocative. Suzanne would like to see this fabric used within a kitchen or a library where it can complement a bowl of lemons or furniture pieces. 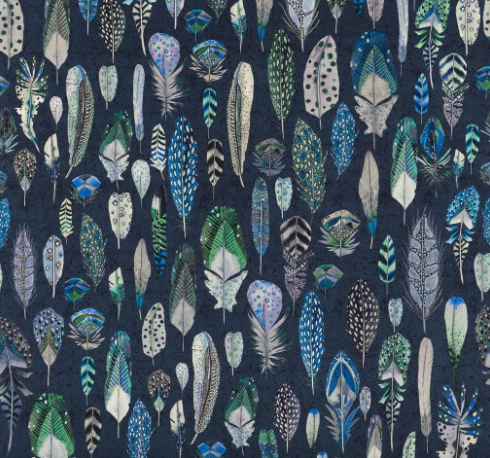 Finally, “A sumptuous velvet with a unique digital overprint of highly detailed quills and feathers”. As described by Designers Guild, this is a velvet with extremely high standards, the material is hard-wearing, detailed, and beautiful – a perfect choice for upholstery and cushions. We love this so much that we’ve ordered this for cushions within our family room. The emerald and cobalt tones are vivid and perfectly marry with additional piping and upholstery accessories. In conclusion this new collections is very exciting and stands up as being one of Designers Guild’s best to date. As stockists of Designers Guild and their latests collections, The Interior Studio can provide cuttings, full pieces or a full Interior design service that ensures the collections work appropriately within your home. For a consultation or a cutting, contact us today.